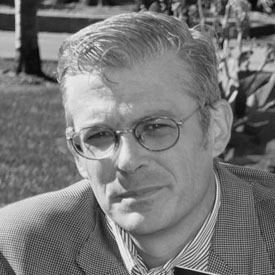 Thomas Finan, BA (University of Missouri-Columbia), MA (University of Chicago), PhD (Catholic University of America), FSA, is Associate Professor of History and Director of the Center for Digital Humanities at Saint Louis University. His areas of expertise include the history and archaeology of medieval Ireland, Gaelic settlement and landscapes in 13th century Ireland, digital modeling of archaeological information, and aerial imaging techniques for archaeological survey. He recently published The King’s Cantreds with Brepols Press (2016), and has edited several volumes with Four Courts Press. He is a member of the Chateau Gaillard Castle Studies Colloque, a Member of the Royal Society of Antiquaries of Ireland, and a Fellow of the Society of Antiquaries of London. His most recent major awards include a Saint Louis University Presidential Research Award (funding one year of excavation at a medieval site in north County Roscommon, Ireland, in 2016), County Roscommon Heritage Support Grants (2015-16), and Royal Irish Academy Excavation Grants (2005-10).